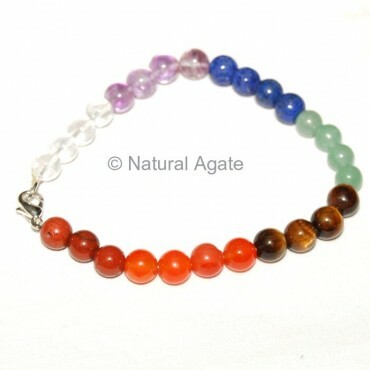 Chakra gemstones are weaved together to make Chakra Stone Bracelet. It is handmade at Natural Agate factory. It is 7in in length.